Thank you for this insightful post (and for the link to the wonderful TED talk). Having spent my early years in Brazil, I was exposed to multiethnic stories but when I moved away, the stories became very Eurocentric once again. I love that you buy books for Teacher Appreciation Week. Thanks Letizia. It’s cool you were exposed to multiethnic stories while young. I sure that it has made you open to many things in literature. 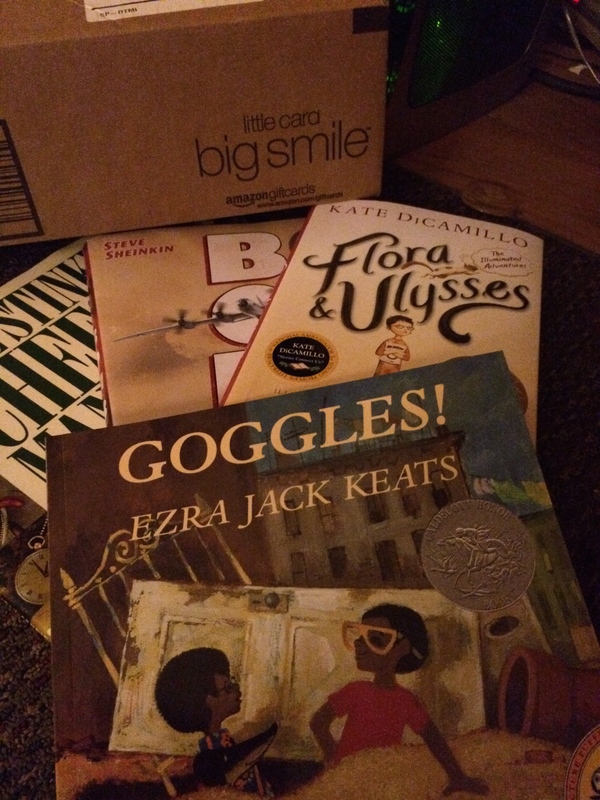 Buying books for teacher appreciation is win/win. They read my boys stories they won’t read with me. And it serves many classes of kids to come. Thanks for reading. This can be a tricky subject, but I’m totally chiming in. I started playing with diversity more during Everything’s Not Bigger, in which I explored the Roma (or “gypsy”) population, a subject I studied in college pretty extensively. For my current WIP, The Bra Game, civil rights are on the move in the 1950s so clearly I dug deeper into diversity here. Another theme I tend to delicately weave throughout my novels involves homosexuality. Especially because of my dance background, from a young age I always had very close gay friends. I have chosen to celebrate them as characters in my books, because like anyone else, they are people. As writers we have the opportunity to create diverse worlds. Some do, some don’t. I like to be in the company of those making positive strides. http://jannagnoelle.com/2014/05/12/for-diversitys-sake-on-representation-ones-true-art-the-vicious-circle-of-mainstream-media/ in which she looks at character diversity in modern writing. As a writer it made me feel uncomfortable not to have considered more diverse characters when drafting my novels. As a reader I’ll go for books I know that I’ll enjoy and I guess that, with the exception of American police/crime novels the protagonist will usually be white/straight. It’s an area in which even expressing a personal opinion is fraught with danger though. I reviewed what I think was a great book recently – a white woman’s experience within a Native American tribe she feels very much attached to. It has drawn huge criticism upon her and I caught a bit of the flak for commending the book. Here’s the review http://backontherock.com/2013/12/15/book-review-the-dark-horse-speaks-little-white-bird/ Sometimes it’s easier to settle for the familiar rather than the best road. Roy, Thanks for the Janna blog post. I loved it. You’re right that voicing our opinions on polarizing topics can be dangerous. It’s actually the topic of my next blog post. As readers, we like what we like. The fact that the book resonated with you shouldn’t result in criticism but unfortunately it does. Thanks for reading Roy!